It’s not often I, like most of America, make a point to watch MSNBC or CNN. If I want to know what leftists are thinking I just imagine something so incredibly insane that there’s no way an educated adult would actually believe it, then double it and I’m there. But Friday night was an exception, I had to see how they responded to the news of the Mueller Report’s submission to the Attorney General and no further indictments coming. It was glorious. You rarely get the chance to watch someone have to choke down a crap sandwich of their own making in front of the people they’d been force-feeding one to for years, but that was Friday night on cable news. Don Lemon, working both of his brain cells to their limit, wondered if President Trump not sitting down for an interview with Mueller “saved him,” then he brought on Dan Rather to discuss. I’m not making this up. Everyone on those two channels should have been apologetic, gaslighting the country for 2 years before having the curtain ripped back so thoroughly should have been met with some humility. They should have been begging their audience for forgiveness. They were not. Hilariously, these knuckle-dragging buffoons tried to play the “We have to wait and see what’s in the report” card. Suddenly, pragmatism and a desire to avoid speculation became the order of the day. It was as if the people who hear dog whistles in everything a Republican says had been deaf to their own voices for 2 years. Elected Democrats, led by Congressman Adam Schiff (for brains), insisted the entire report be released against Department of Justice rules and, more importantly, without acknowledging they’d sworn to the public they’d personally seen evidence of corruption. Normally this would be a devastating blow to elected Democrats – what journalist would have them back on television after they’d been exposed as straight-up lying every time they’d been on their shows? Luckily for them there aren’t any journalists left in the media. Schiff was on MSNBC and not one single clip of his previous pronouncements was even alluded to, let alone played. Fox News played some (there are too many to play them all), but these people wouldn’t go near Fox News before, they surely won’t get into the same zip code as Fox now. Democrats scrambled, scheduling a 3:00 pm conference call for Saturday on how to coordinate their messaging in the wake of the Mueller report contradicting everything they’d been saying. It’s likely there was feverish focus-grouping beforehand, hunting for the best way to convince an angry mob that even though everything they’d been promised was so really wasn’t, it doesn’t matter somehow. Oh, to have been a fly on the wall there. By now, Democrats have their new talking points, “journalists” have been briefed and are on the same page, and all will start their week as if Friday didn’t happen. But it did happen. No matter how far the goalposts get moved, nothing is going to change that. 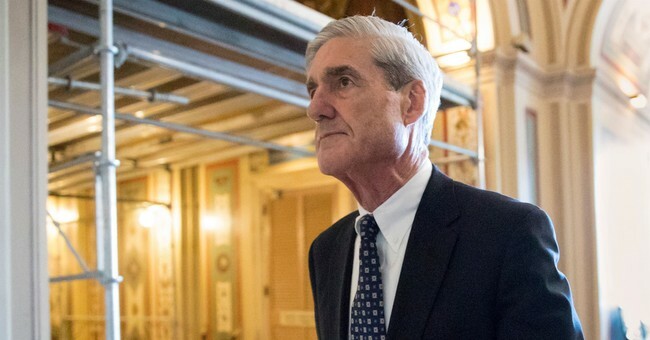 In a possible preview, blogger for Esquire and CNN personality Ryan Lizza, who was fired from the New Yorker for “improper sexual conduct,” tweeted Friday, “*whispers* Mueller was always a side show the real action is in NY.” Two years, tens of millions of dollars, and no limit on what he can look into coming up empty is not enough for these leftists. They now turn their longing gaze north to New York, and not just the Southern District. The state’s new Attorney General, Letitia James, promised the liberal mob she “will use every area of the law to investigate President Trump and his business transactions and that of his family as well.” It’s not often an elected official announces they will employ the Soviet tactic of investigating to see if they can find a crime rather than investigate when a crime has been reported, but these aren’t normal people. In fact, these aren’t even good people. Friday night was fun – like watching an obnoxious kid wrestle with discovering the truth about Santa. But it was just one day. Liberals will choke down their crap sandwich, brush their teeth, and get right back on to work attempting to undo the 2016 election. They’ll do it with the media on their side, zero shame or sense of decency. This is how they win – they play the long game and don’t let anything stand in the way of their goals. If Republicans don’t learn to counter it, to fight the way they do, to beat them until they don’t have the energy to cry for mercy, every GOP victory will be temporary. Friday was glorious, but it’s not Friday anymore. Our opponents are not done, we shouldn’t be either. Derek is the host of a daily podcast (subscribe, it’s free!) and author of the book, Outrage, INC., which is about how liberals use fear and hatred to manipulate the masses.